William May, a youth of sixteen, residing at Whistler, … leaned over too far, lost his balance and would have plunged down the shaft to certain death if he had not remained poised on the edge of the shaft for several seconds. 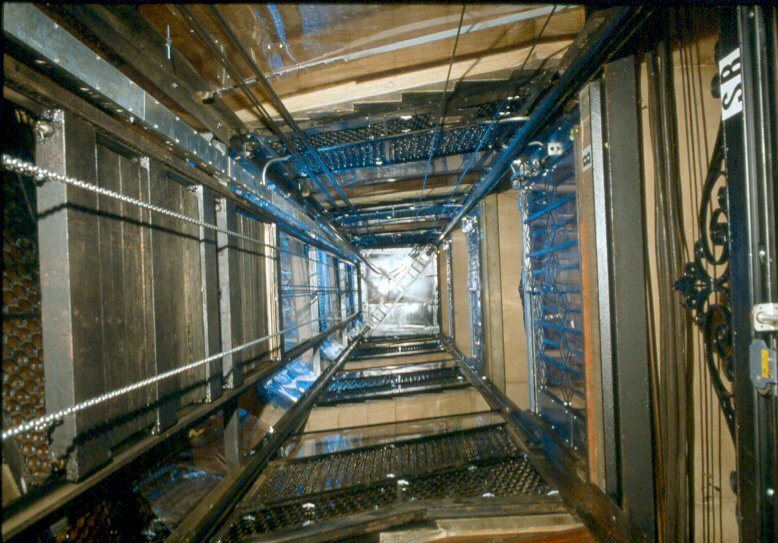 … (and) jumped for the cables of the elevator, where he clung until instructed to slide down to the top of the elevator at a standstill. May emerged on the second floor, covered with grease but safe, and was taken to the men’s lavatory in the basement, where he was scrubbed clean.